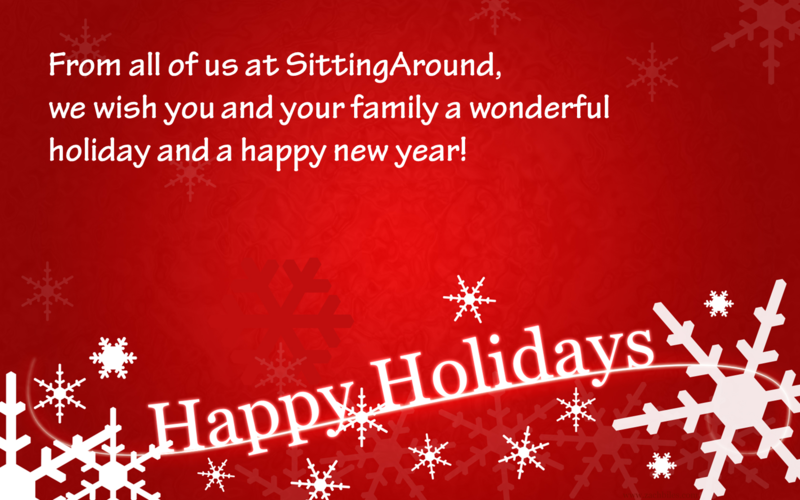 Thank you for making SittingAround’s first year so special. Wishing you and yours a holiday season filled with joy and peace, family and friends. Here’s to great 2011 and an even better 2012 to come! Kid-Tough See Yourself Camera. My son loves my DSLR camera, but I’m not comfortable with him playing with it. Thankfully, Fisher Price has a solution that allows his curiosity and creativity to thrive — a durable toy camera that actually takes real pictures! With a 4x zoom, 1.8” TFT color screen, 256 MB memory, 1.2 Megapixel imager (with lowlight capability), SD slot and USB port, there’s nothing “kid” about this camera. Triqo. Legos get an upgrade, thanks to this construction set from the Netherlands. Build a house, a hat, whatever your child’s imagination desires. Added bonus: these blocks are all made from recycled materials. Baby iCan Play iPhone case. How many times has your child dropped your iPhone? With me, too many to count. Fisher Price has a new way to protect your fragile phone while still allowing your child the fun of playing with all their kid-apps. What really surprises me? Why someone didn’t come up with this sooner. i-Helicopter. It’s a remote controlled helicopter, except the remote is an iPhone / iPod / iPad. I love products that mix technology with tried-and-true standbys — and this a modern twist toy helicopters looks so fun, I’m tempted to buy it for myself. Doodle Track. Your child draws a track on paper using a black marker and then the doodle car follows the track. How cool is that? I have no idea how this one works, but I do know that it would keep my son entertained for hours. PlaSmart Plasma Bike. Toddlers, meet the tricycle of the future. This little bike helps kids as young as 18 months ride on their own — no pedals or training wheels necessary. And, thanks to its unique design, it helps your little one learn to balance better than traditional models. With that, I am off to Amazon to try and scoop up some of these fun new toys. Did you purchase any of them? Let us know what you thought!